Deviled eggs are favorite picnic and cookout fare — and they’re also an ideal way to use all those colored Easter eggs! My sister-in-law and my mom make the best deviled eggs, but this spread turns the traditional stuffed egg into a light lunch or dinner. It’s rather good for breakfast, too. As a convenient bonus, the recipe may be prepared in advance and will keep in the fridge for several days. Mash the yolks, and then add the yogurt, mayonnaise, Dijon, Worcestershire, and salt and pepper. Chop the egg whites, add to the bowl along with the optional add-ins, and stir to combine. Spread the mixture on toast, scoop into a hollowed-out tomato or atop a thick slice of tomato, cucumber, or whatever else sounds good to you. Scatter optional garnishes overtop, as desired. This recipe can easily be doubled and will last several days stored, covered, in the refrigerator. Every once in a while, the camera gets turned around! Love it, Lauren! So, he’ll be extra happy if he can eat your share, right? Wow! I love deviled eggs. They are sure little devils 🙂 Found you from Amy’s Fit and Fabulous Fridays. Love the blog. So glad you found your way over, Minnie…love Amee’s Fit and Fabulous Fridays! 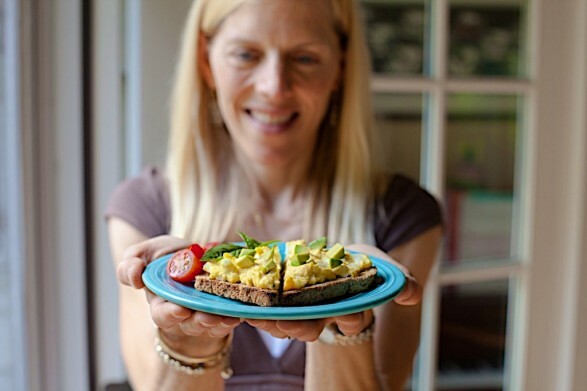 Ann, this healthy deviled egg spread looks amazing! I love that you shared this great recipe at Fit and Fabulous Fridays. 🙂 Deviled eggs are one of my favorite bite sized snacks! Hi Ann, I’d heard on the radio about jalapeno egg salad & absolutely had to try it. I can’t have egg salad without it anymore, it tastes so good! Just a suggestion for anyone to try. Thanks for the delicious recipes! 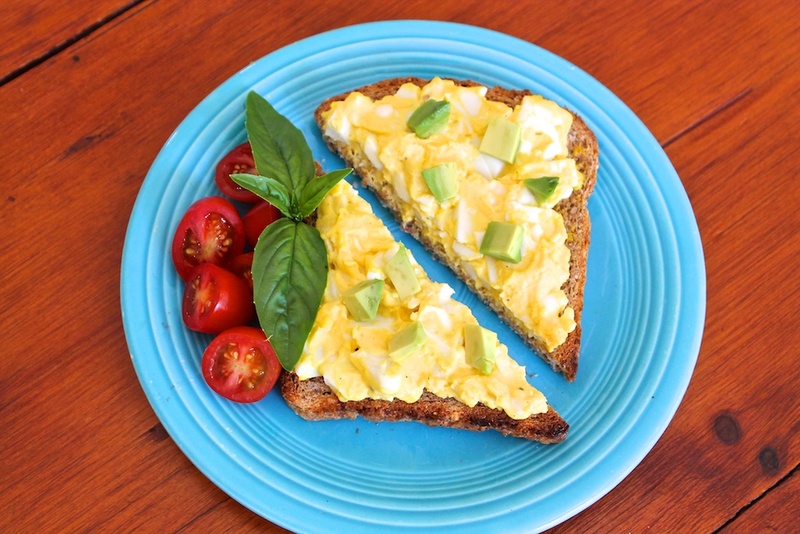 I love the idea of avocado with egg, clever pairing! Thanks for sharing with the Clever Chicks Blog Hop! This amount will serve 3-4 people, Susan. Thought I recognized the blog name. Looking forward to making your recipes. Hi neighbor! Glad you found your way here and hope you find some recipes you enjoy.